You are spoilt for choices for food when you stay in the eastern part of Singapore. In this post, I recommend 10 affordable and tasty meal options for a family of 3-4 pax at less than $50. This ubiquitous Thai food chain needs no introduction. An order of Thai chicken curry , Thai stuffed chicken wings, Kai lan with shrimp paste and extra order of rice cost about $35. An affordable and hearty meal for 3. This Malaysian chain’s nasi Lemak with fried chicken can never go wrong. My kind of comfort food! The crispy drumstick and the fragrant rice cost $12.75 on Deliveroo. For a meal for 4, I would have ordered 4 sets of this. Ok maybe if you would like something light, their Ipoh Kway Teow soup is going for $10.60. Most items on their menu are less than $13. 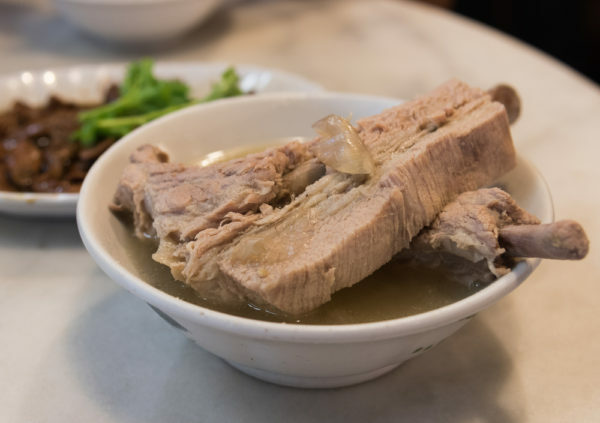 The signature Bak Kut Teh is $8.50. 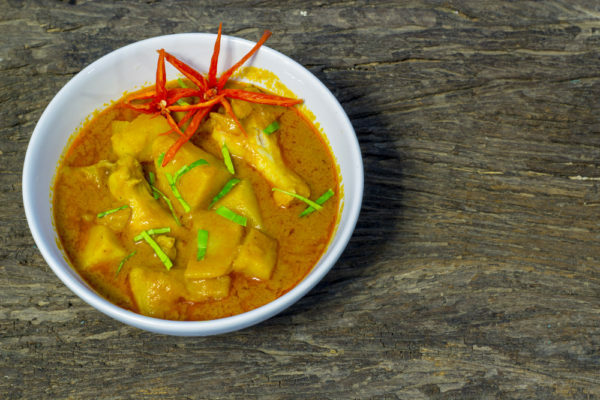 You can order braised peanut or tau pok to go with it at $2.80 each. Add your greens with the blanched Xiao Bai cai at $5.50. Not to forget the fried dough fritters (you tiao) which can be added on for $2.30. Rice is $1. A meal for 3-4 would cost less than $45. Taste just as good as the Kai Jun coffeeship Bak Kut Teh at Balestier. This Thai restaurant originates from Orchard towers and just recently moved to the east. Most mains eg. green curry chicken, fluffy omlette, fish cake, stir fried chicken cost around $9. The tom yum soup slightly more expensive at $10. Add rice at $1 a portion for an authentic Thai meal that cost less than $50 for sharing between 2-3 people. This Zhi char stall is where you go for your carbo heavy staples such as Hokkien mee, Hor fun, seafood fried rice etc. Small portions start at $6.80 and medium portions at $10.80. Vegetables are quite expensive although you can opt for the cheapest option – fried potato leaves at $10. Meat such as sweet and sour pork cost $16.80. 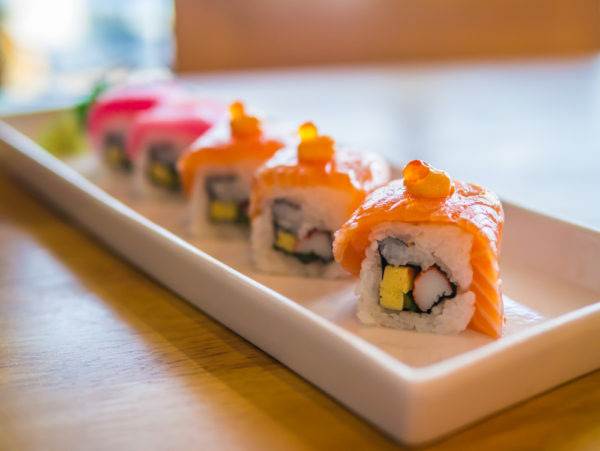 For Japanese, or if you want something light, you have the original create yourself sushi roll. The little San sushi which gives you the option to select three essentials (eg. Tuna mayo, avocado etc) cost just $7.90 and the mega San sushi that gives your five essentials cost $9.90. You can also get salads here. Another option for healthy and delicious grub, is Cedele. it’s sandwiches are going for less than $10 each. It’s all day breakfast priced slightly higher at $11.90. To end of your meal, you can get their signature cakes priced at $7 a slice. Carrot walnut cake anyone? If you want Pizzas, especially if you want well made, chock full of ingredients, thick dough to sink-your- teeth-in type of pizza, Pezzo is there for you. Their concept is based on individual pizza slices that you can take to go. Here you can get a mix and match full pan pizza with choice of up to 6 different flavours for $24.60 (eg. Hawaiian, pepperoni, mozzarella). Good for sharing with picky eaters. They also offer meals bundled with drumlets and drinks for 3-4 pax for $35.90. Last but not least, if you have a craving for fried chicken, especially the Korean soy variety, this is one of the better ones out there. A party pack for 4 pax with half chicken, half a dozen wings and fries will set you back by $62. But it is worth the splurge. There you go, familiar chain restaurants, smaller more localised options, Thai, Korean, Jap, Chinese, Singaporean, healthy alternatives, all in the East.